Two 16-year-old boys were charged Thursday with planning an imminent terror attack after being arrested with “bayonet-type” knives in Sydney, with police saying the pair were inspired by the so-called Islamic State group. The boys, who were not named, were seized in the city’s southwest after buying the weapons in a shop, renewing fears about youth radicalisation. They face life imprisonment if convicted on charges of “acts done in preparation, or planning, terrorist acts”, and membership of a terror organisation. 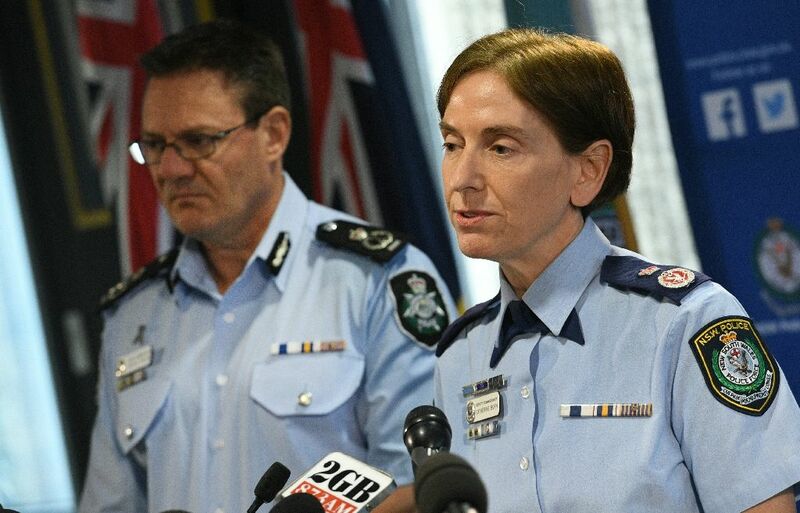 “We don’t have any specific information of a particular target where we will allege that there was going to be an imminent attack,” said New South Wales Deputy Police Commissioner Catherine Burn. She added that police were alleging “the attack was inspired by Islamic State”. “The charge that relates to membership of an organisation, we will allude to their association or allegiance with Islamic State,” she said. They were refused bail by a children’s court and are due to reappear in December. Australian officials say they have now prevented 11 terror attacks on home soil in the past two years. But several have taken place, including the murder of a Sydney police employee last year. Counter-terror police have made a series of arrests since late 2014, with the young age and radicalisation of many of those detained a growing concern for authorities. “Anybody who says they’ve got the silver bullet to youth radicalisation, please tell me all about it,” said Australian Federal Police Deputy Commissioner Michael Phelan. He said some youngsters were going from “zero to full radicalisation within 48 hours or 72 hours to an event that we’ve had to stop”. “It is a very difficult subject because one size does not fit all. People are radicalised in all different ways,” he added. The latest arrests come just weeks after a 22-year-old man, who police said was also inspired by Islamic State, stabbed a 59-year-old grandfather out walking in Sydney, leaving him with serious injuries. Two days before the stabbing, a teenage boy was charged with making threats at the Sydney Opera House, with both incidents following an IS call to target high-profile Australian sites. The Australian government has become increasingly concerned about homegrown extremism and the terror threat level was raised in September 2014. Canberra is also worried about its citizens fighting with jihadist organisations such as Islamic State in Iraq and Syria and helping radicalise others.